International tours have brought the band to Australia, Canada, Europe, South America, Ireland and the United Kingdom. The Special C has appeared in concert with many symphony orchestras nationwide and has brought an informative in-school presentation to schools nationally and internationally since 1984. Band leader/banjo player Greg Cahill is the former President/Board Chair of the Nashville-based International Bluegrass Music Association (IBMA), the former Board Chair of the Nashville-based Foundation for Bluegrass Music and a recipient of the prestigious IBMA Distinguished Achievement Award (in 2011). Other band members include guitar player Rick Faris, bass player Dan Eubanks and mandolin player Nick Dumas. 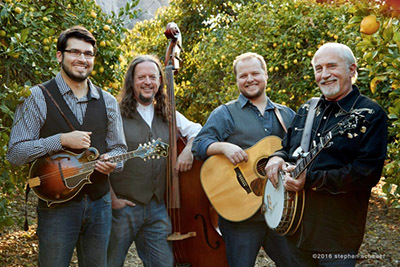 The 2012 band release Scratch Gravel Road (Compass Records) was Grammy-nominated for Best Bluegrass Album and two songs from the 2014 band release Country Boy: A Bluegrass Tribute To John Denver (Compass Records) won IBMA awards for Recorded Event of the Year and Instrumental Recorded Performance of the Year. The tune Fireball (featuring special guests Rob Ickes, Trey Hensley and Alison Brown), on the 2016 Compass Records band recording Long I Ride won the 2016 IBMA Instrumental Recorded Performance of the Year Award.